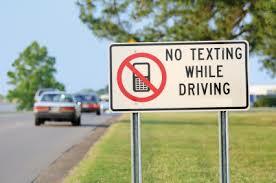 Around three years ago legislature in the state of Washington made text messaging and the use of handheld devices while driving illegal. However, a research study by Beth Ebel published in the Seattle Times showed that nearly one in every twelve people in the state continues to use their phones while driving. The woman behind this study, Beth Ebel, is a pediatrics professor at the University of Washington and a trauma doctor at the Injury Prevention and Research Center at . Mrs. Ebel conducted this study by observing driving demeanor of 7,800 motorists at different intersections in six different counties across the state of Washington. The counties that Beth Ebel conducted her research include King and Pierce Counties. Her research showed that over 8 percent of drivers used electronic devices and nearly half of them were texting while driving. This reported study also pointed out the crucial statistic that using a phone while driving increases the risk of an auto accident by 23 percent. There are many companies and employers that employ drivers, one example being Smith Brothers Farms, located in the city Kent, WA. For these types of businesses that employee mostly drivers, driving while using a phone is not only illegal but also cause for termination. Smith Brothers Farms employees 50 milkmen and women drivers and added a segment on cell phone use into its employee manual in 2009. This section of the employee handbook states “Never read or type text messages while your vehicle is moving.” Smith Brothers Farms drivers are permitted to use Bluetooth headsets while operating vehicles. A Tacoma, WA pizzeria delivery driver employee says he makes sure to wait to check his missed calls and text messages until he is pulled over to the side of the road. However, this is something he does on his own and has not been told to do so by his employer. He states “I don’t know if we have any training along those lines. I think it’s kind of common sense. If people need to be told, they’re probably going to do it anyway.” Good point! As the increase of cell phone use continues, it will be interesting to see how companies that’s main purpose is delivery will handle employee cell phone use while driving.